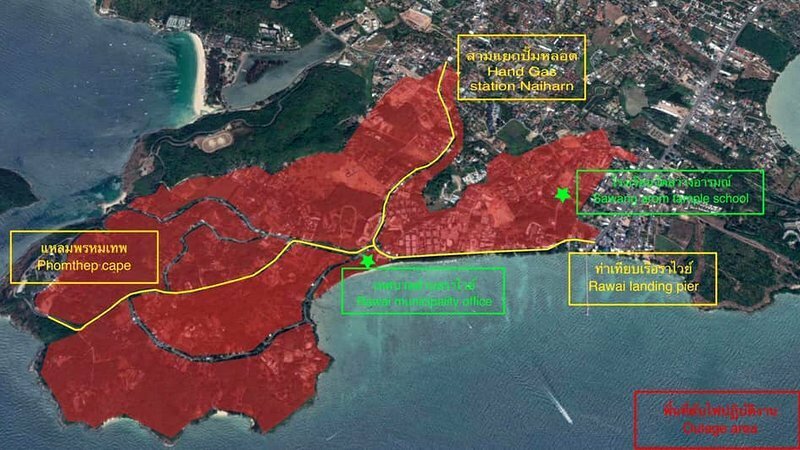 PHUKET: The fire department at Rawai Municipality has announced that the electricity supply will be shut off in parts of Rawai, including the Rawai beachfront, tomorrow (Mar 20), as works are carried out on installing new high-voltage power lines. Areas to be affected by the blackout are from the three-way intersection in front of Rawai Pier to the “Promthep Cape area”. The notice apologised for any inconvenice caused by the blackout. Of note, no notice has been of the Rawai blackout has been posted by the main Provincial Electricity Authority (PEA) branch for Phuket (see here). Meanwhile, the Provincial Electricity Authority (PEA) Thalang office has announced that the electricity supply will be shut off in Thalang on Thursday (Mar 21) as works are carried out on low-voltage power lines. For more information about the scheduled blackout call 076-386880-2 or the PEA call center on 1129. 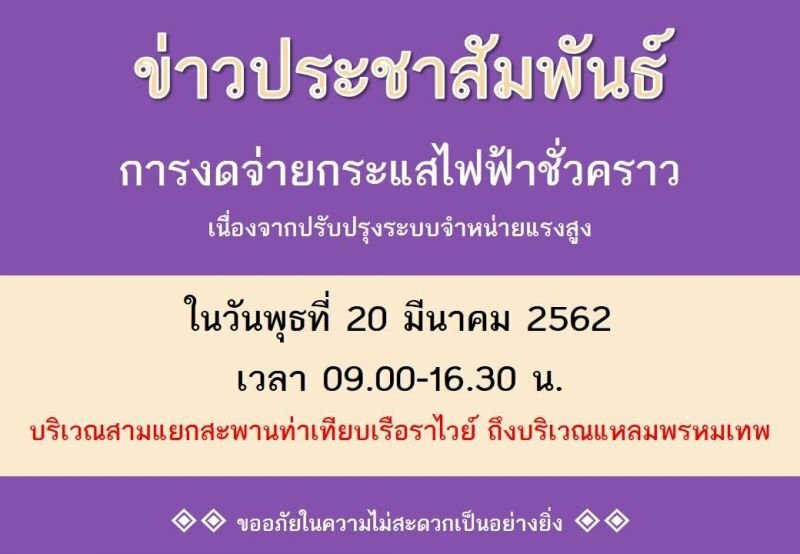 ** UPDATE: The Phuket office of the Provincial Electricity Authority (PEA) finally posted a notice for the blackout affecting Rawai at about 7:40pm Tuesday night (Mar 19).